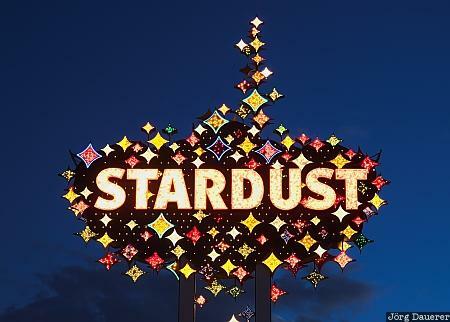 The neon sign of the Stardust Casino and Hotel in Las Vegas. The Stardust Casino and Hotel was closed in the end of 2006 and it was demolished in March of 2007. Las Vegas is in southern Nevada, United States. This image was taken in the early morning of a cloudy day in October of 2006. This photo was taken with a digital camera.